Wheat is grown in great quantity across much of the earth's best agricultural land, partly for its value as one of the world's staple food crops and partly for its role as a distilled grain. Alcohol produced from wheat has a number of industrial uses, and also plays a role in many of the most widely consumed spirits. There is a longstanding assumption that vodka is made from potatoes, and historically that was true. However, potato-based vodkas are now rare and the majority are distilled from grain. Wheat, barley and rye are all common choices, thanks to their widespread availability and low cost when purchased in commercial quantities. 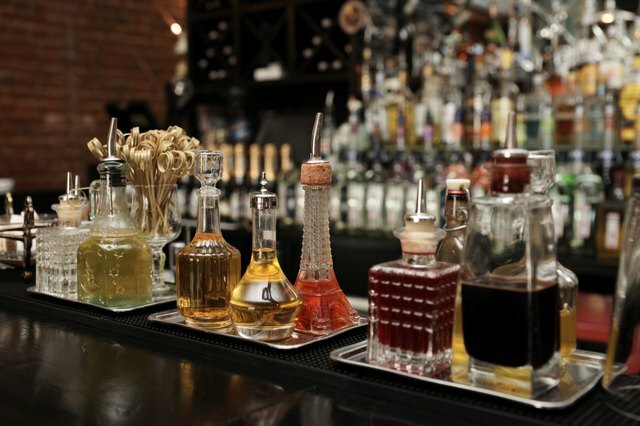 Several of the most recognizable vodkas are distilled from wheat, including iconic brands Absolut, Stolichnaya and Ketel One. Many others use wheat as part of a mixture with rye and barley. 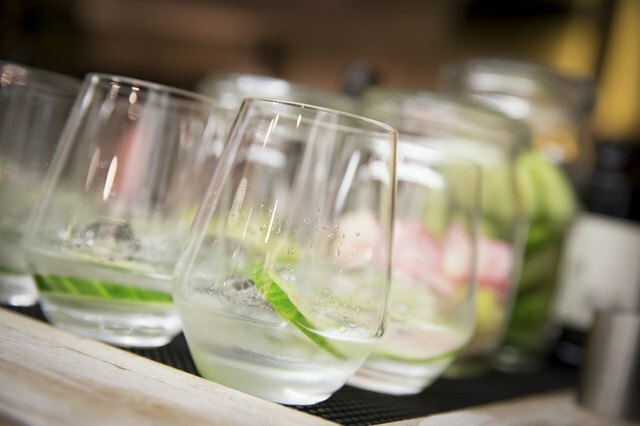 Gin is another clear, clean-tasting grain alcohol similar to vodka. 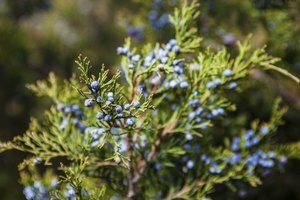 The major difference between gin and vodka is that gin is flavored with juniper berries and other aromatic ingredients, which vary from one manufacturer to another. 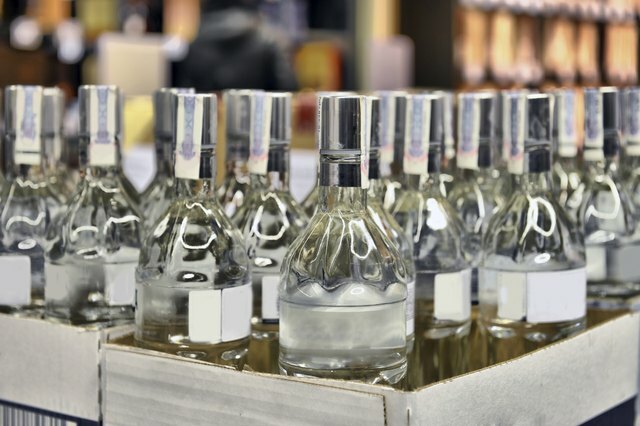 Premium gins are usually distilled from mixtures of wheat, rye and barley, but with the wheat and rye predominating to give a light, dry finish. The ancestral Dutch version of the spirit, genever, uses a higher percentage of barley to create a deeper, more whiskey-like flavor. 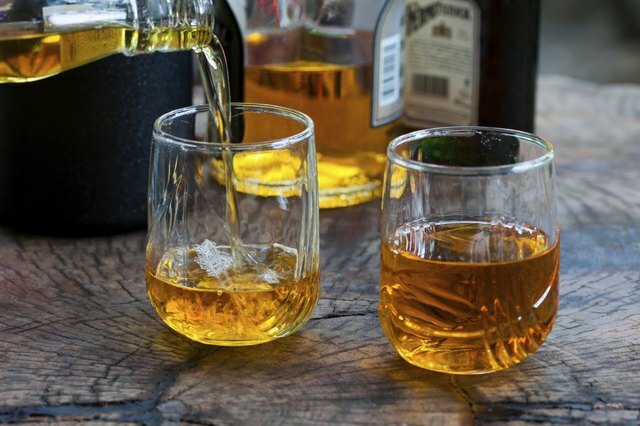 Whiskeys made largely or entirely from wheat are usually the province of small-scale craft distilleries, rather than major players in the industry. They typically have a light, delicate and dry flavor, much prized by serious aficionados. More commonly, wheat is incorporated into the "mash bill" -- the mixture of grains that makes up the spirit -- of commercial mainstream whiskeys, where its characteristic lightness and dryness provide a foil to heavier corn, barley and rye. Because of its relative cheapness on the commodity market, wheat is widely distilled and used as a neutral spirit for blending. 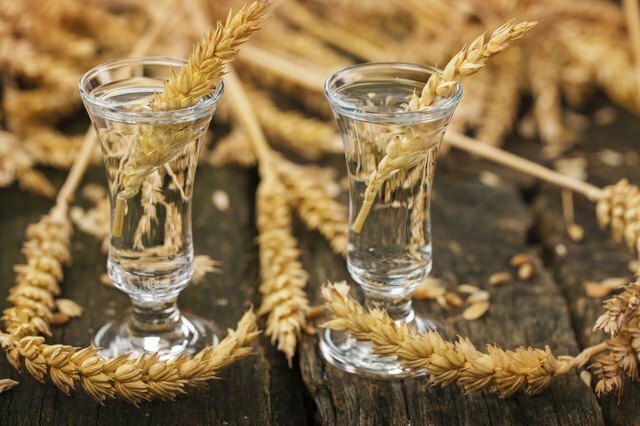 This means that a percentage of wheat might be found in almost any spirit, including blended whiskies, schnapps and a variety of sweet liqueurs. 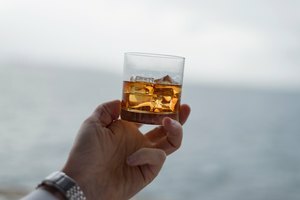 As a rule there is too little gluten left in any distilled liquor to be a concern for the majority of celiacs, but a few are sensitive enough to be affected. What Is Gin Made Out Of?